So my friend’s husband’s birthday is this weekend and he is a fan of the Edmonton Oilers. So she and I are preparing an Oilers party and these are my nails for the party. 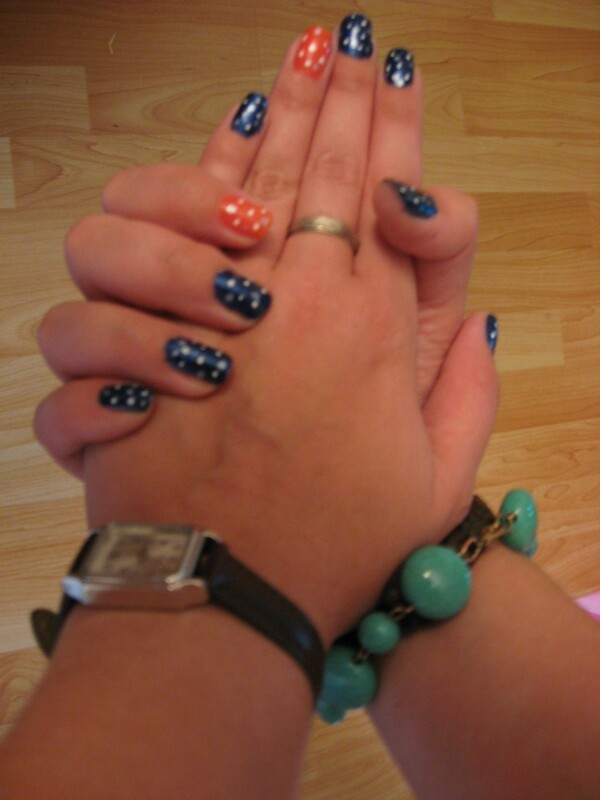 I painted blue and orange as a base and added white and silver dots. I think it turned out really nice.